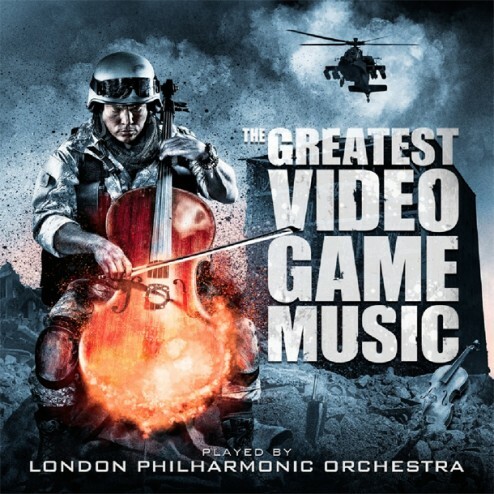 Summary Judgement: The London Philharmonic Orchestra’s Greatest Video Game Music is a delightful collision of high culture and pop culture. Though I come from a family of musicians, my father, grandfather and sister are all talented with a variety of instruments, I am not one myself. I struggled through playing the trumpet in grade nine and ten and I haven’t looked back since. In that light, I’m probably the last person who should attempt to critically discuss music. 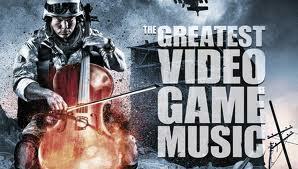 The only caveat to that reality is that we are dealing with video game music in this instance. Thus, I think I’m marginally qualified to speak my mind. In short, the performances are excellent. However, I find myself only three-quarters in love with the playlist. But what I do love, I love very much. Part of the reason for my raised eyebrow of scepticism is that at least a quarter of the songs are nothing new. For example, both The Legend of Zelda Suite and Liberi Fatali from Final Fantasy VIII were originally arranged for orchestral performance. When I first heard the Zelda Suite, ten years ago, it blew my mind. Finally, a piece of seminal music within gaming history was given the treatment that it deserved. Though LPO’s performance of this piece was stellar, there was nothing new to it. Measure for measure, beat for beat the song is the same. As well, the Star Wars meets Raiders of the Lost Ark fanfare at the start of the song now sounds tedious to the point where I would rather just listen to the original 8-bit melody and revel in my nostalgia. The same goes for Liberi Fatali. Final Fantasy VIII’s opening cut scene had an operatic quality due primarily to the orchestral performance of this song. But no matter what orchestra plays this song, it always sounds the same. In the twelve years since FF:VIII’s release, I’ve heard Nobuo Uematsu’s music so identically performed that I am positively desperate to hear the piece taken in a slightly different direction. Perhaps I’m playing the role of the philistine Austrian King who tells Mozart there are too many notes in his opera. But if I, as a lifelong gamer, am sick of these songs after only a decade then they might not represent the best that gaming music has to offer. Indeed this might just be a matter of taste because LPO’s take on the Sons of Liberty Theme from Metal Gear Solid 2 sent chills down my spine. But at least in this instance, there was an audible difference between the game version of the song and the live rendition. The strings of the orchestra replace the synthesisers of the game and it is nothing short of rapture to my ears. The only way it could get better for me is if the very next track was the LPO backing Cynthia Harrell as she sang Snake Eater, the Bond-esque theme from Metal Gear Solid 3. The real genius of this CD is when it takes music that isn’t made for an orchestra and gives it the high culture treatment. Consider the humble Tetris theme. Every time I have to load my car, or my freezer, after a trip to Costco that song starts playing in my mind. Hearing a simple little jingle like that blown up to such grand proportions is, for my time, why video game music works. It is a form of cultural evolution where a simple melody grows into something new and infinitely more complicated. In this case, sixteen bars of melody are Russified (Yes, Tetris can be made more Russian) into something that sounds like it came off the score for Fiddler on the Roof. Some might call nostalgia on that last point. However, any accusations therein will have to be dismissed when I admit that I’m genuinely taken aback by how well the Angry Birds theme works when done by an orchestra. Through the alchemy of the LPO, the most innocuous six bars of jingle ever made for an iPhone app turn into something that is memorable. Then there are the entries from Halo, Bioshock, Fallout and Mass Effect, all of which put me in mind to spend some money on this CD. For the sake of context, the last album I bought was Clint Mansell’s Moon Soundtrack. If you’re in the US, Amazon is selling a digital copy of the album for $2.99. We Canadians, however, are not afforded such a deal (yeah, I know, I’ll rant about it another time) but can still pick up a digital version of the CD on itunes for $9.99.